I am wondering what Ski Resorts are available (open) for skiing during the Northern Hemisphere's summer? Level of comfort and amenities don't really make a difference for the purposes of this question. Saas-Fee: Saas-Fee is not open year-round, but the summer season is between: 14.07.2012- 28.10.2012. For 2013 you can assume that more or less the same dates are available. Zermatt: Zermatt is open year-round. You can go skiing there every day. Obviously, during the summer, not all lifts are open. But nevertheless, there are halfpipes, jumps, etc. during the summer on the glacier. Although the other answers are OK, I will use the opportunity to advertise one peculiarity in the area where I live: midnight sun skiing.. Yes, you read that right. The ski resort of Riksgränsen, Sweden advertises with midnight daylight skiing, possible every year in May, and midnight sun skiing. 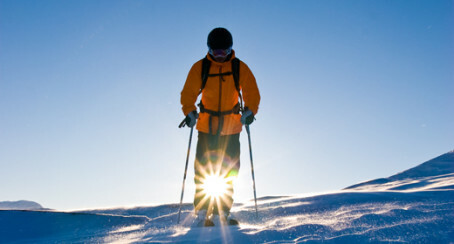 Midnight Sun skiing is usually heli-skiing offered a few days around midsummer, and not guaranteed to be possible. The ski resort is small compared to resorts in the Alps, but the possibility to ski 24 hours per day(*) should be quite unique. (*) I don't think the lifts are open 24 hours per day. I even found a Top Ten list that claims there is only one location in the US. It cheats by using Southern Hemisphere locations to offer you local-winter skiing during your home-summer, which I suspect you didn't want. So your list of possible locations dwindles to a handful. Timeberline Lodge in Oregon, USA - open twelve months a year. Whistler-Blackcomb, British Columbia, Canada. I was there 3 days ago :) Has a glacier you can ski on in summer! Italy has quite a bit of summer skiing at Cervinia Zermatt, Italy. The link is some photos showing you what's available. Heli-skiing. It's harder and a bit more 'extreme', but you can get to the snow that isn't normally available to you from a marked trail or lift. Grass Skiing. Cough. Yes it's actually a thing, and no...there's no snow. But it's growing in popularity in both North America and Europe. In the Tyrolean Zillertal Valley, you can ski all year round at the Hintertux Glacier. They claim to be the only resort in Austria where you can ski 365 days a year. In the French Alps, you can ski during Summer at the Glacier of Tignes. Norway also has summer skiing spots. the Galdhøpiggen Summer Ski Centre, at elevation 2600m, claiming some powder snow. the Folgefonna Summer Ski Centre, which is a glacier. Arapahoe Basin, in Colorado has a very long season. Not a full 12 months, but most years they're open into June, sometimes early July. It's not glacial, but I believe it is the highest ski area in North America. The peak is just over 13,000 feet, on the Continental Divide. I am surprised about the northern hemisphere bias, especially since @karlson explicilty states not beong bound to the northern hemisphere. I would say go to Chile. Some years ago, while traveling through Chile I went skiing just an hour drive from Santiago. It was a resort with modern facilities. I didn't even have to stay there, since day trips from Santiago were feasible. In the bus to the resort, I spoke to someone who told me that there were several other resorts spread over the country. Not the answer you're looking for? Browse other questions tagged skiing summer or ask your own question. Is Berlin experiencing a decrease in public activity during summer time (July and August)?